Traffic was slowed down shortly after 11AM today at the junction of Pescador Drive and Buccaneer Street when the bottom of a Bowen and Bowen tractor trailer loaded with its cargo broke off. The trailer was about to enter into Buccaneer Street when a load bang was heard. 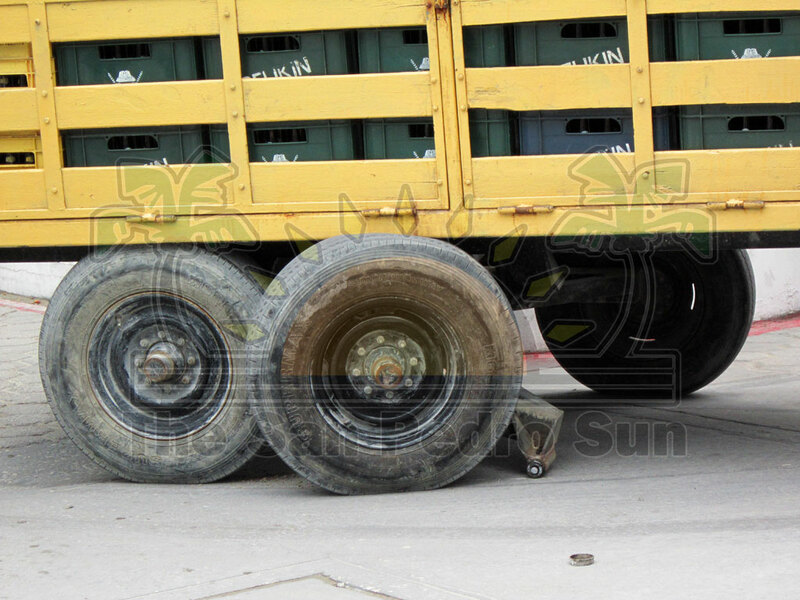 A closer inspection revealed that the rear tires and axel of the trailer broker off. 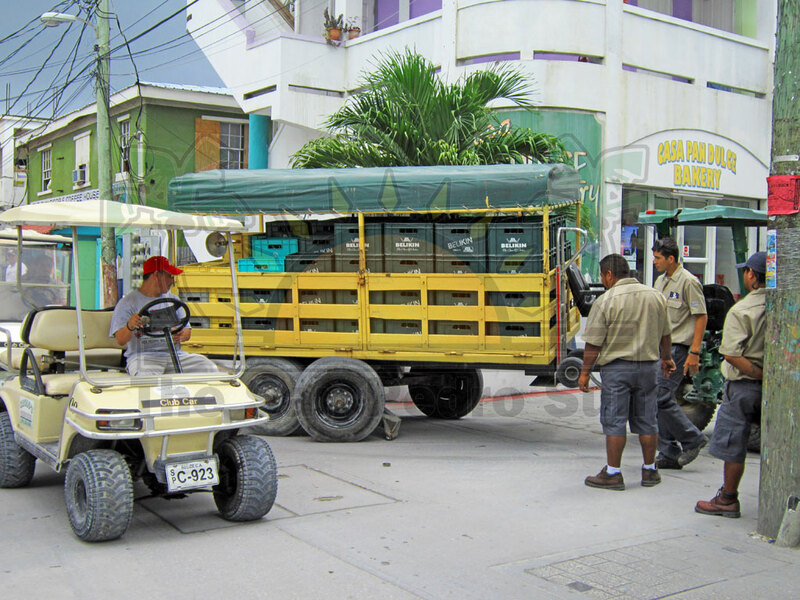 The trailer was on its normal route delivering cargo to different establishments within the downtown area. Luckily no one was injured. However the incident caused traffic flow to slow down and diverted during one of the busiest time of the day.